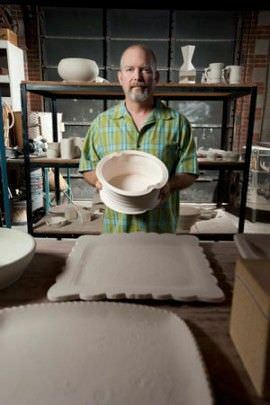 Peter Coates has been managing and maintaining the ceramics studio at Oklahoma Contemporary Arts Center since 1998, nurturing the program from a handful of pottery wheels and a single class to the fully functional studio and the many classes it is today. Peter comes from a long family line of artists, musicians and crafts persons. His ceramic work is highly sought after and is in many private collections throughout the country.